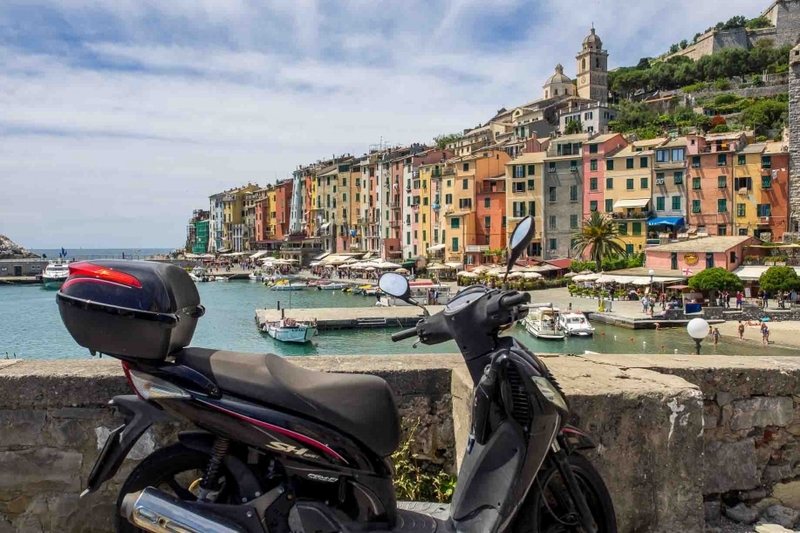 After a late night arrival the night before the early morning rise was a little bit of a struggle, however the Cinque Terre was high on my radar of places to visit, if you dont know what CT is, here is a quick ‘wiki’. The Cinque Terre (Italian pronunciation: [ˌtʃinkwe ˈtɛrːe]) is a rugged portion of coast on the Italian Riviera. It is in the Liguria region of Italy, to the west of the city of La Spezia. “The Five Lands” comprises five villages: Monterosso al Mare, Vernazza, Corniglia, Manarola, and Riomaggiore. The coastline, the five villages, and the surrounding hillsides are all part of the Cinque Terre National Park and is a UNESCO World Heritage Site. 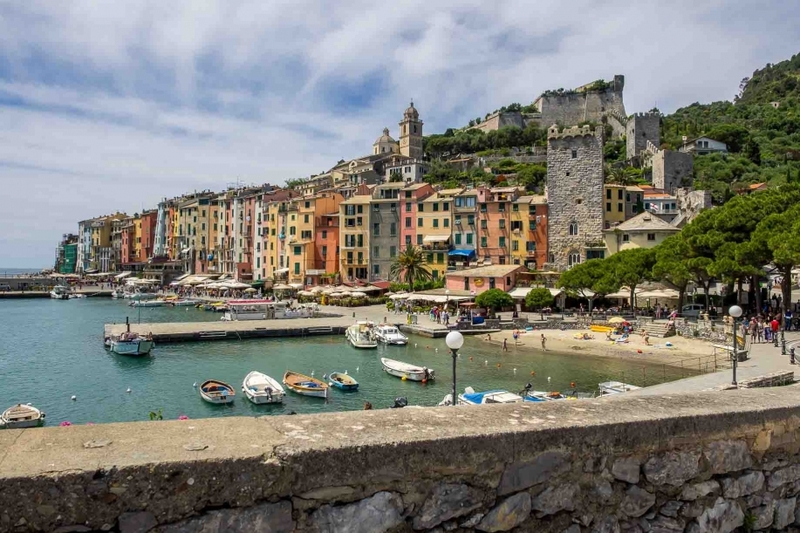 My first stop was Portovenere, its not part of the CT but the architecture closely resembles it, in fact the entire Amalfi Coast is very similar, anyway Portovenere is one of the only areas accessible by car, it is also one of the main ports for ferries to and from the CT along with La Spezia so you can imagine the amount of people here, I tried to get a parking spot, managed to double park ran and got a coffee, checked in with instagram ran back to the car all within 2min just as the police started walking towards me ;). There are two ways to access the CT regions, via ferry or via the train system, I would soon realise that my driving the scenic roads all day would kill the ferry idea so later on in the day I picked up the train, I timed it so I would be at the town I wanted around sunset, perfecto!. You can see in some of the images below the vineyards in the area, in fact the houses as well are all on steep mountain sides, this what looked like a death trap looks like the means of transport up and down the mountains, I noticed a few more of them along the route, crazy steep, you wouldnt get me in one of them. Looking down the Amalfi Coast. The tunnel from the train station to my first stop. 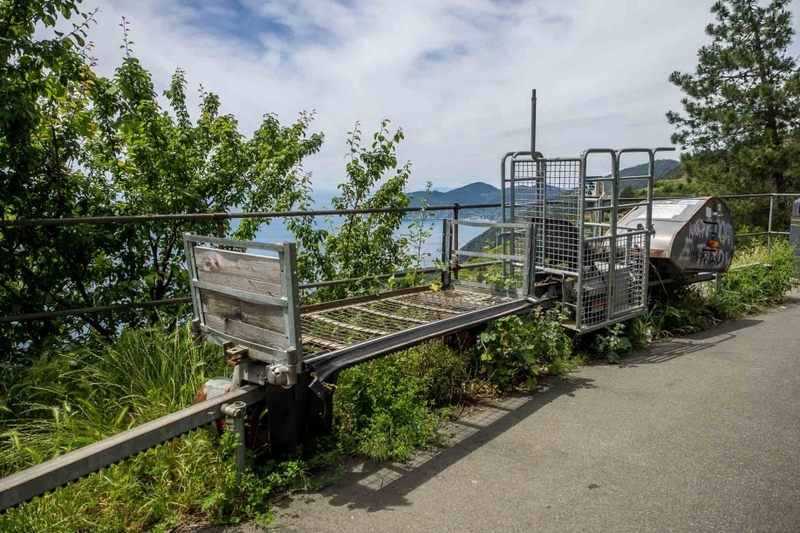 First stop, Manarola, I had zero bearings, so from the images I had studied I had no idea where to go, walked to the end of the little boat ramp took some pictures and jumped back on the train to Vernazza. Vernazza, I didnt make it to the 3 others but this was the best from all reports, it was getting close to sunset as well so I stayed here, the sunset wasnt special though as it was extremely hazy, nevertheless amazing little place, another place to come back to. There were 4 kids playing with these, it was great watching them, for some reason it reminded me of when I was a kid growing up in Greece. I decided to grab dinner here in Vernazza as the sun came down and befriended an American/Sicilian/Cypriot couple, and well you guessed it another late night, a great couple, the older guy had so many life stories, it was great to sit and talk to some people I could understand and could understand me, its one thing to be enjoying all these amazing places and experiencing all these new things but when its in a foreign language and you dont hear that familiar language it does tend to send you a little crazy :), anyway I hope they read this as I gave them the address :). An awesome day, like I said, in hindsight I think the ferry would be the best option with the train as your means to get home after hours so to speak, the train station in La Spezia has a parking lot underground which was perfect, and from memory for the 8 hours it was there it was only a few Euro. Anyway next was the longest drive, La Spezia to Lake Como, 500+km which included two epic drives.